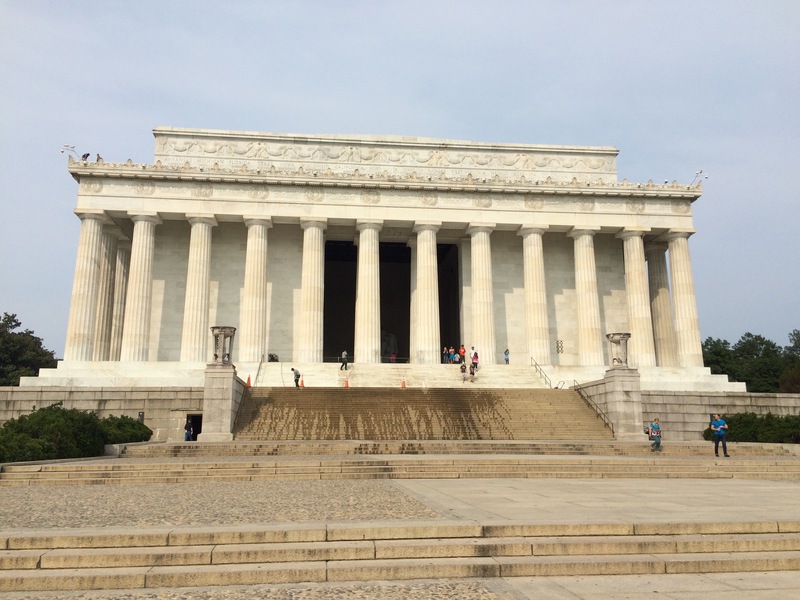 I feel like I have seen a lot in my two days in Washington DC. 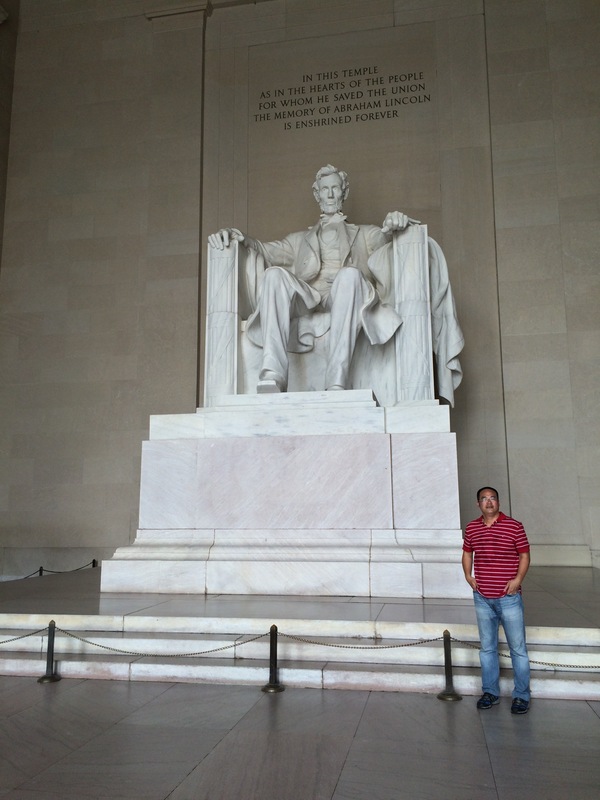 Equally, I feel like I have seen hardly any of what’s possible to see in Washington DC. 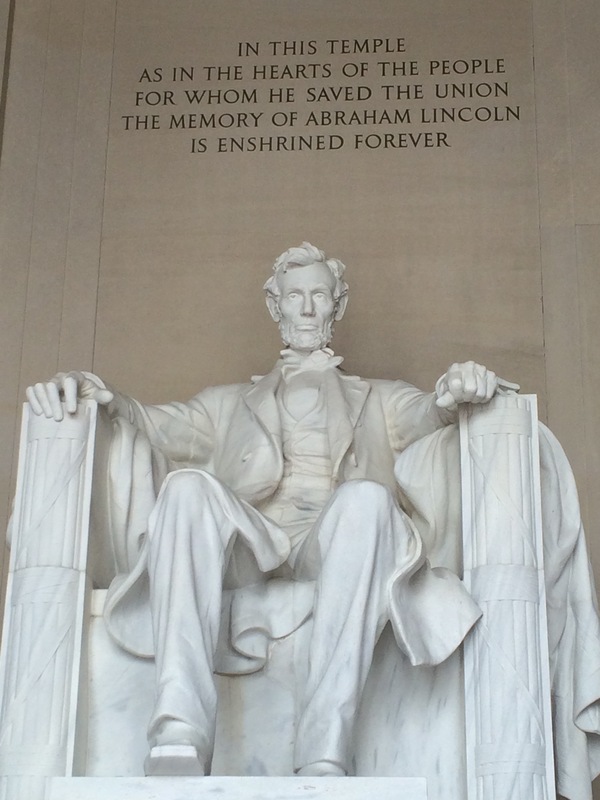 Suffice it to say, I hope to come back for more visits as I had a fantastic time. Even if it was super hot and humid weather! The Capitol. 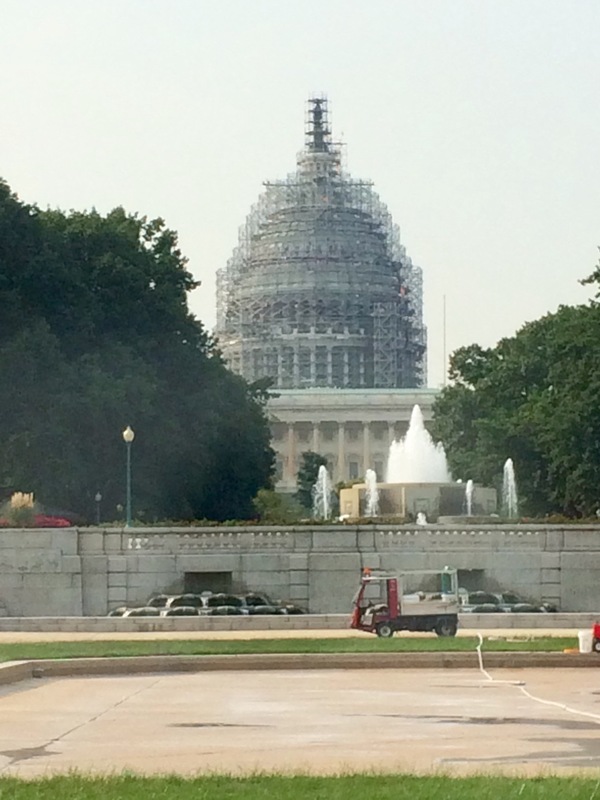 Adding to my collection of pics of landmarks under scaffolding when I visit. Given my short trip, I knew I’d be happy if I got to spend time at Newseum (which I have been wanting to see for years), see some of the city, and maybe get to geek out at some other museums and historical places. Yesterday was a great day, but I’ll tell you more about that another time. Today was very interesting, with a case of (accidental) great timing leading to a pretty special experience. I was on the hop on-hop off city bus, and, given the furnace that awaited outside the air-conditioned bus, I definitely had to psych myself up to hop off at all. But of course I did, with less than a day left before I hopped on the train back to NYC. 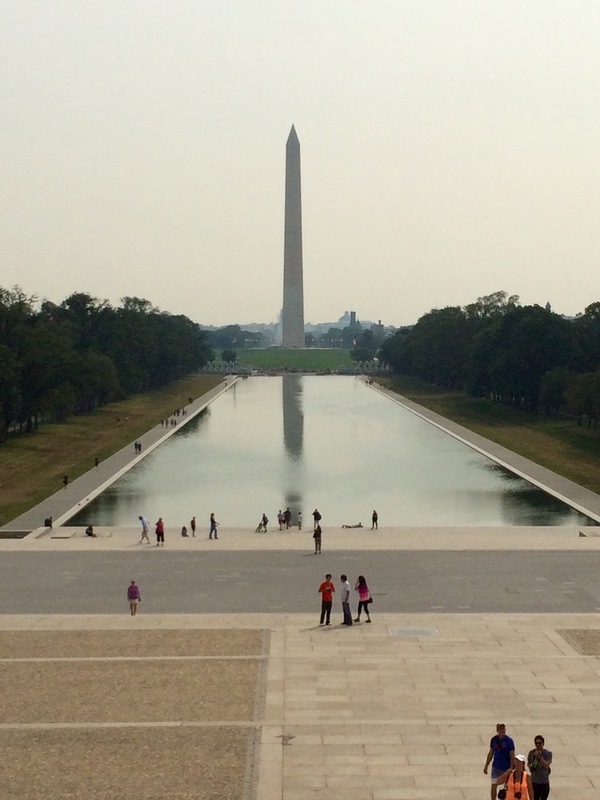 View from Lincoln Memorial to Washington Monument. I shall name the other man Honest Gabe. Little pixie man that he is. So that was all very interesting and in a stunning location. 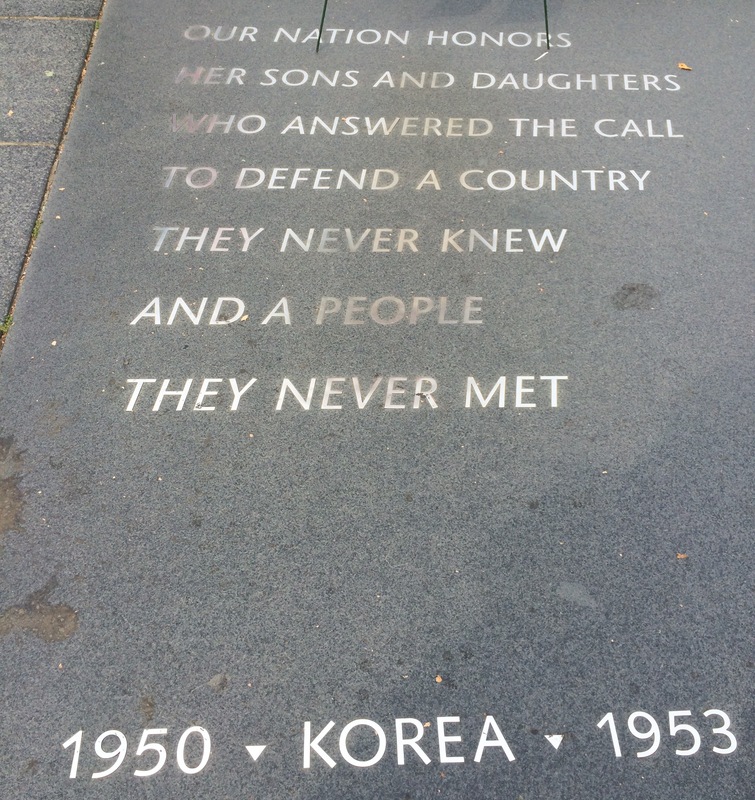 Then I headed down to the Korean War Memorial, and that’s where the magic happened. 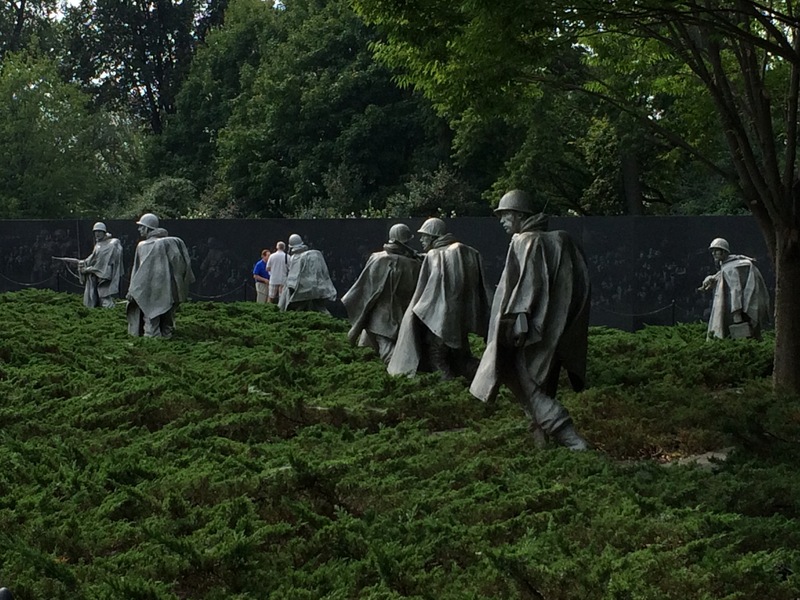 The memorial itself is incredible – 19 life-sized statues of men dressed in the heavy cold weather gear they would’ve worn during the war. Their faces are modeled on 19 actual US soldiers from that war, apparently. And they are set in a beautiful green garden. Very moving stuff – and proof that traditional art still works: you don’t always need a clever hologram or techno trickery to make your point. 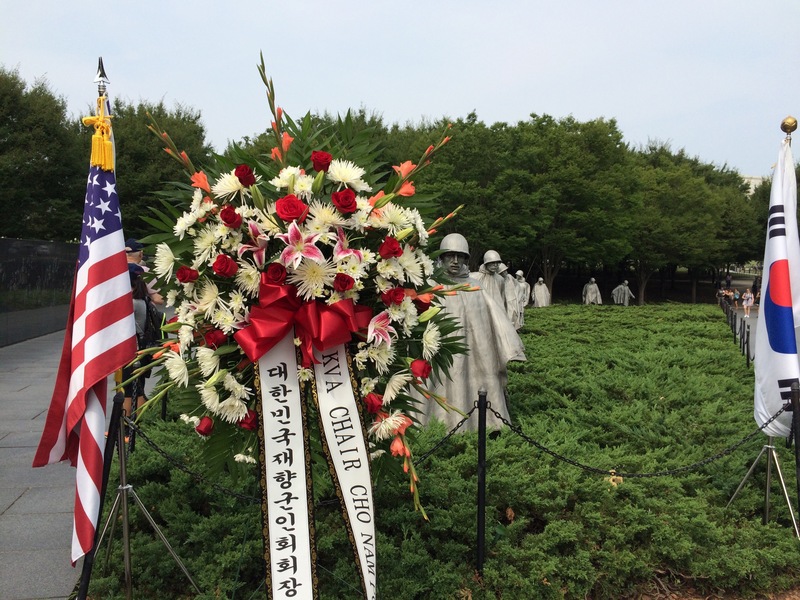 And then, I noticed a group of Korean gentlemen (mostly old timers, all in uniform) and one young Korean lady (in uniform) gathering, along with a couple of old American gentlemen with service medals and partly dressed in uniform. I had happened across the beginning of a service of some sort. 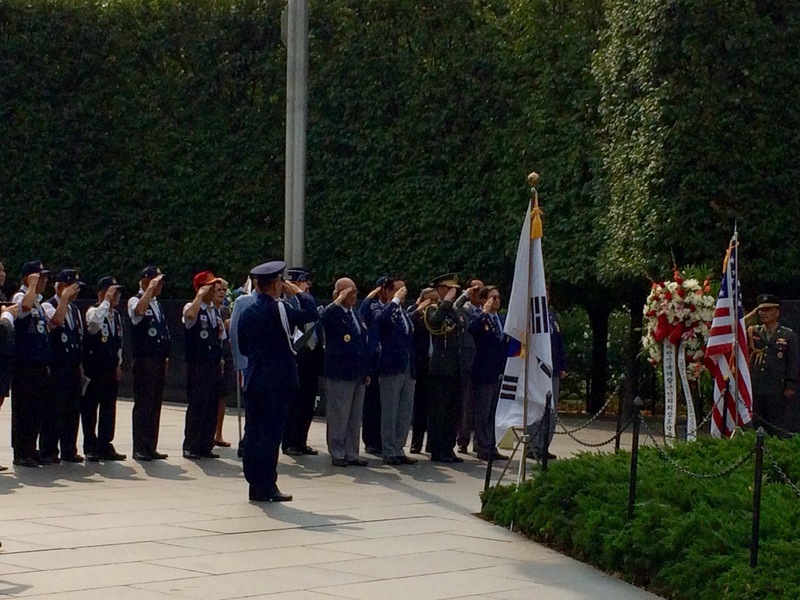 Some words were said (in Korean), a large wreath was laid, and they all saluted as the anthems of both countries were played. Then a bugler played (bugler, not burglar, to be clear) and everyone that was lurking and watching the scene like me was as quiet as a mouse. It was very moving. And a reminder that sometimes when you’re traveling, the unplanned experiences are the best. And after that, I went to the Museum of American History – yet another interesting museum, and so well designed and presented. These guys know how to do a good museum, that’s for sure. 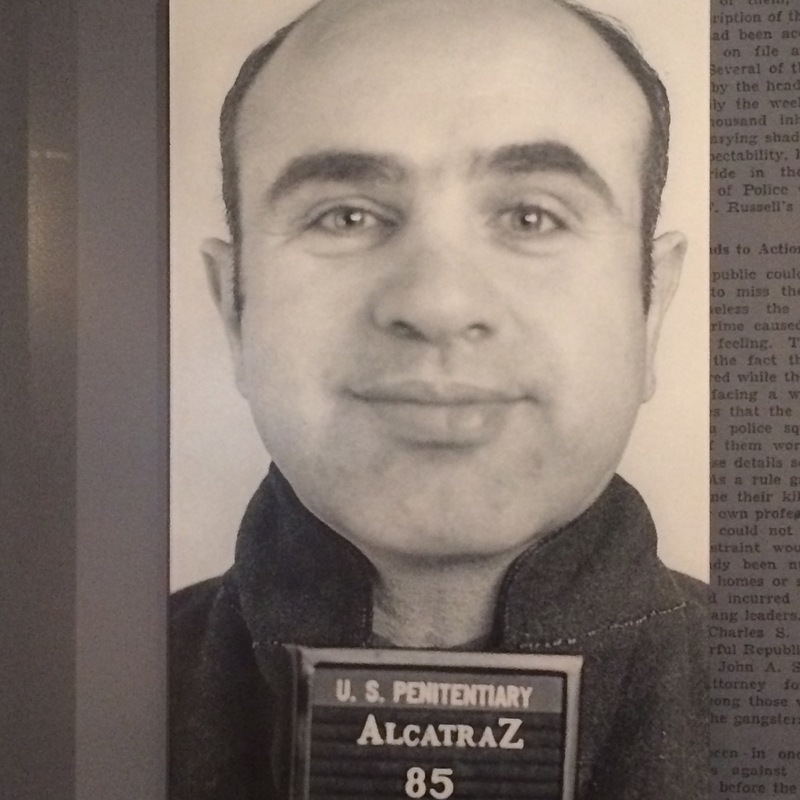 Too many cool things to mention, so I’ll just share this: Al Capone’s mug shot. Doesn’t he look like a nice young man, who would maybe serve you in a bookstore, or sit next to you on the bus to work?